Wendy Siuyi Wong has established an international reputation as an expert in Chinese graphic design history and Chinese comic art history. She is the author of Hong Kong Comics: A History of Manhua, published by Princeton Architectural Press, four books for Chinese readers, and numerous articles in academic and trade journals. 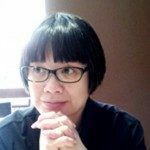 She served as Chair of the Department of Design, Faculty of Fine Arts from 2006 to 2009, and as Associate Director of the York Centre for Asian Research from 2005 to 2009 at York University. Dr. Wong was a visiting scholar at Harvard University from 1999 to 2000 and the 2000 Lubalin Curatorial Fellow at the Cooper Union School of Art, New York, USA. In 2009 and 2010, she was a visiting research fellow at the Department of Design History, Royal College of Art, and she served as a scholar-in-residence at the Kyoto International Manga Museum. Dr. Wong was invited as the keynote speaker at the Women’s Manga Research Project and Hong Kong Arts Centre Joint International Symposium, held at the Comix Home Base of the Hong Kong Arts Centre in March 2014. Because of her expertise in Chinese graphic design history, she was invited as a contributor to The Phaidon Archive of Graphic Design, published in 2012. She is currently a contributor to the Bloomsbury Encyclopedia of Design, and acts as a regional editor of the Greater China region for the Encyclopedia of Asian Design; both are major projects to be published by Bloomsbury Publishing. In addition, Dr. Wong has served as an Editorial Board member of Journal of Design History since 2012.